Often the real design challenge is not coming up with a unique shape, but making it a reality. 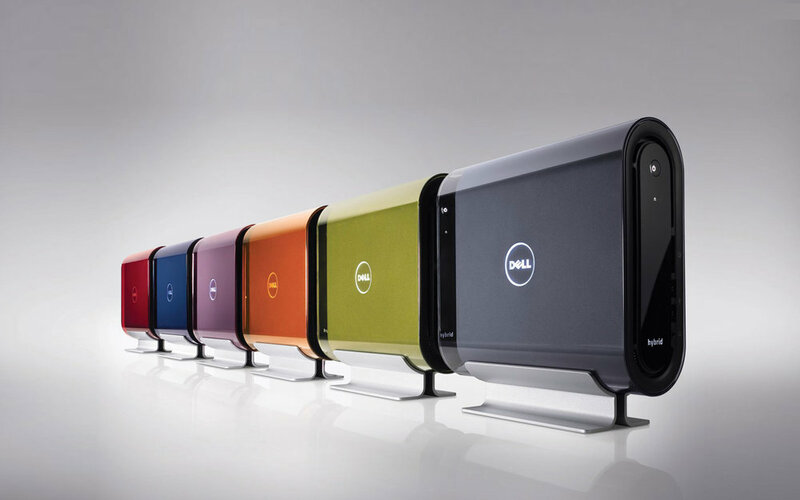 For the Studio Hybrid, Dell enlisted Fahrenheit to help pack a full PC’s computing power into a very compact form factor, while maintaining the design vision. Every detail was painstakingly considered, resulting in an elegant, stylish, customizable design meant to compliment any room. It is not only beautiful but also environmentally responsible, using 70 percent less energy than a standard mini-tower desktop while taking up 80 percent less space.